Freighter has released its latest innovation – an automated mezzanine deck for its range of Tautliner trailer products. Designed to simplify the loading process of mezzanine decks, the new automated design will expedite loading times without loss of pallet space. Freighter’s engineers have worked hard to design an electro-hydraulic Auto Mezz Deck solution which is fast, quiet and reliable. As a result, the Freighter system is almost silent and works with the push of the button. It is certain to speed up loading times for operators, saving them the hassle of having to raise and lower mezzanine decks with a forklift. 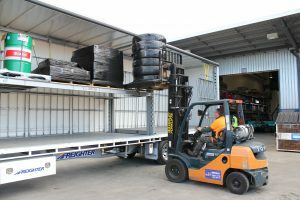 The new Auto Mezz Deck from Freighter can easily fit four standard pallets with room to spare and no need for side shift. A dominant feature of Freighter’s Auto Mezz Deck design is that it occupies no further space than a standard mezzanine deck. Freighter worked with industry leaders to develop this new option. One of the most important pieces of feedback received was that any new technology must not come at the expense of load space. Therefore engineers focussed on ensuring there was no loss of pallet space, by keeping posts at the same width to those on a manual deck. Furthermore, there is no loss of height clearance when the mezzanine deck is fully lowered. Spring actuated locks are integrated into the product as a ‘fail-safe’ feature. The spring loaded deck locks mean that there is no chance of the decks slipping down further than intended when raising and lowering. 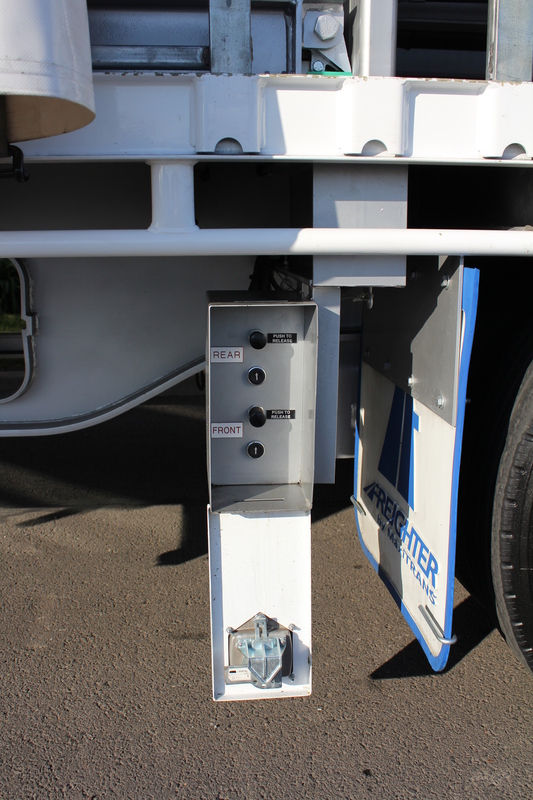 Upon releasing the controls, the deck automatically locks itself into the next available position, eliminating OH&S risks. 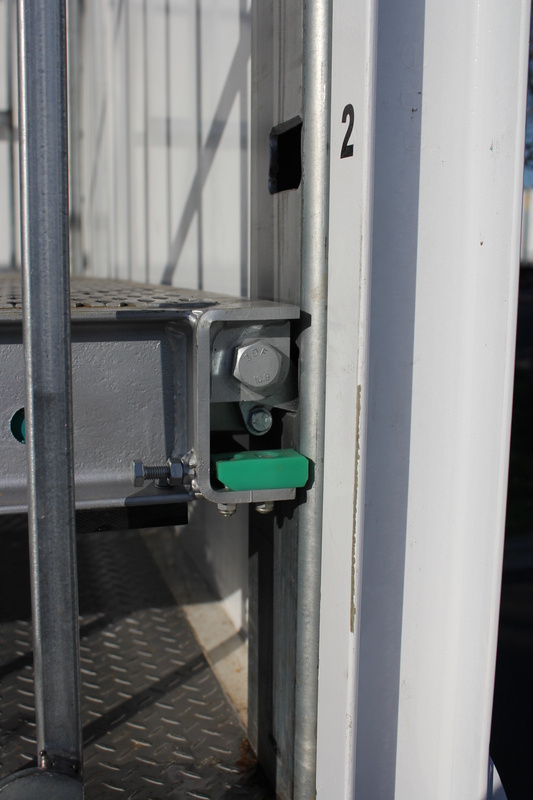 Freighter’s red/green indicator system means operators can always tell when the Auto Mezz Deck is safe to load. Green and red indicators provide further OH&S safeguards. When being raised and lowered, red indicators show the user that the deck is not locked into position and is not safe to load. 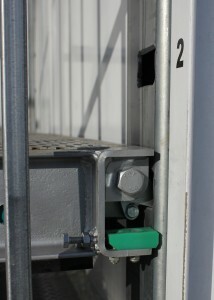 Then, when the deck is safe to load, the indicators turn green. Furthermore, the indicators are mechanical, meaning that they are reliable and are not prone to failure or electrical faults. 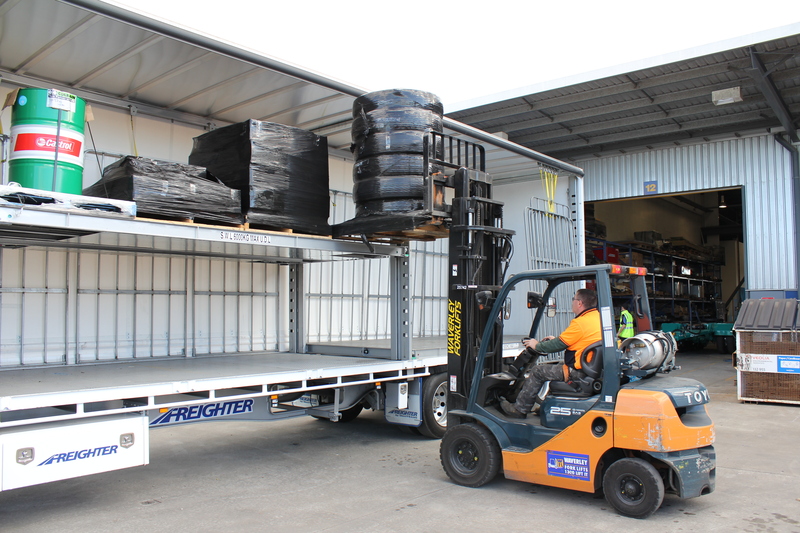 Freighter’s Auto Mezz Deck can be integrated into orders across its range of Tautliner models – including the T-Liner, LoadHold, EziLiner and Insuliner products – and is available now via its Australian and New Zealand dealer network.